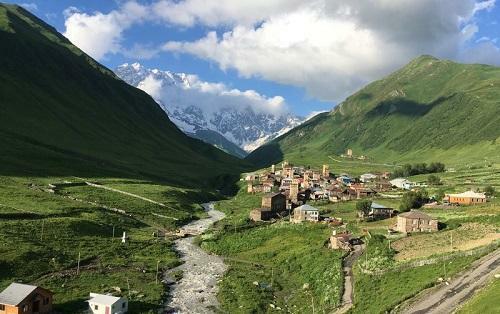 The Svans, from Georgia’s Caucasus region, had their weed culture (and plants) uprooted. Khachapuri, the cheese bread native to Georgia, is a regional staple. But a local rumor holds that the Svans—an ancient community living in the highest settlements of the Caucasus—eat a fragrant, weed-filled iteration. From the moment a Georgian friend told me about this elusive dish, I couldn’t stop thinking about it—I wondered what it tasted like, whether anyone still made it—and, naturally, whether or not it would get me stoned.